Item # 301541 Stash Points: 1,999 (?) This is the number of points you get in The Zumiez Stash for purchasing this item. Stash points are redeemable for exclusive rewards only available to Zumiez Stash members. To redeem your points check out the rewards catalog on thestash.zumiez.com. Save your hair from the rain without sacrificing your look thanks to the Sandy Lace Up Ivory Hooded Sweater from Almost Famous. This mild colorway is super soft and form fitting, with a lace up style chest to ensure a perfect fit to your body. 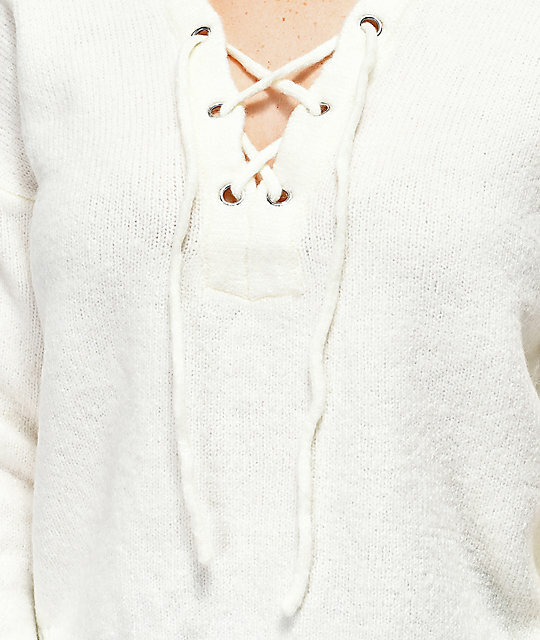 Add some edge to both your sweater and hoodie collection with the Sandy Lace Up Ivory Hooded Sweater from Almost Famous. 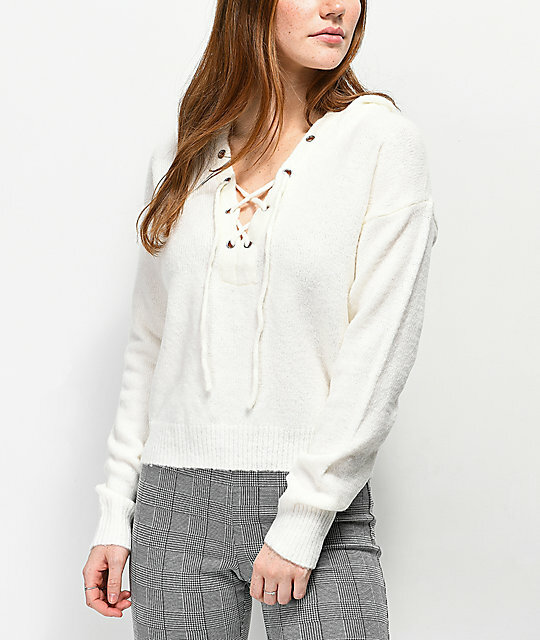 Sandy Lace Up Ivory Hooded Sweater from Almost Famous. Lace-up neckline with metal eyelets. 77% acrylic, 21% polyester, 2% spandex.